Global Functional Market is segmented by Type as Vitamin, Protein and Others; Distribution Channel and Geography. 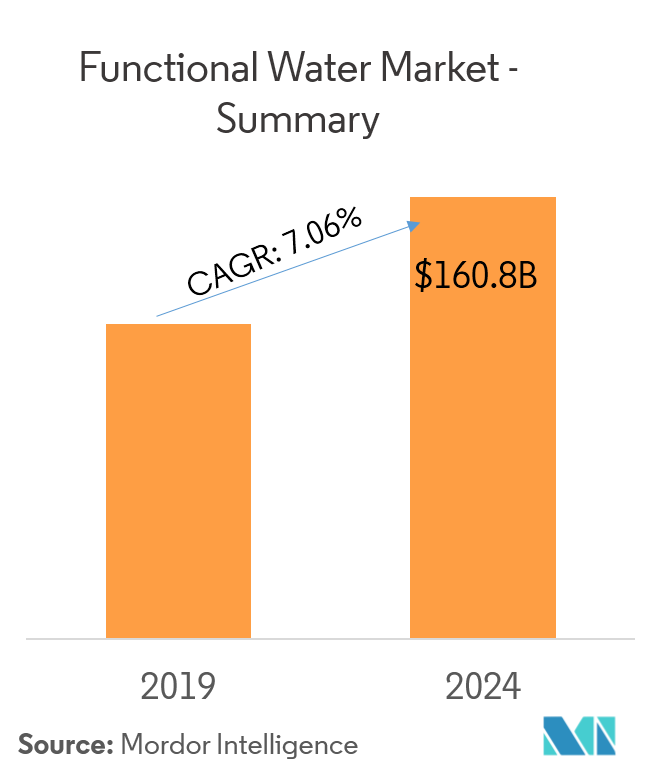 The Functional Water Market is forecasted to reach USD 160.89 billion by 2024 growing at a CAGR of 7.06%during the forecast period (2019 - 2024). Functional water is recognized as aquaceutical, is a non-alcoholic beverage similar to water having additional ingredients that increase functional benefits. It provides both refreshment and taste. Some common additives are vitamins, acids, minerals, herbs and fruits or vegetables which helps in improving immunity and boost energy. 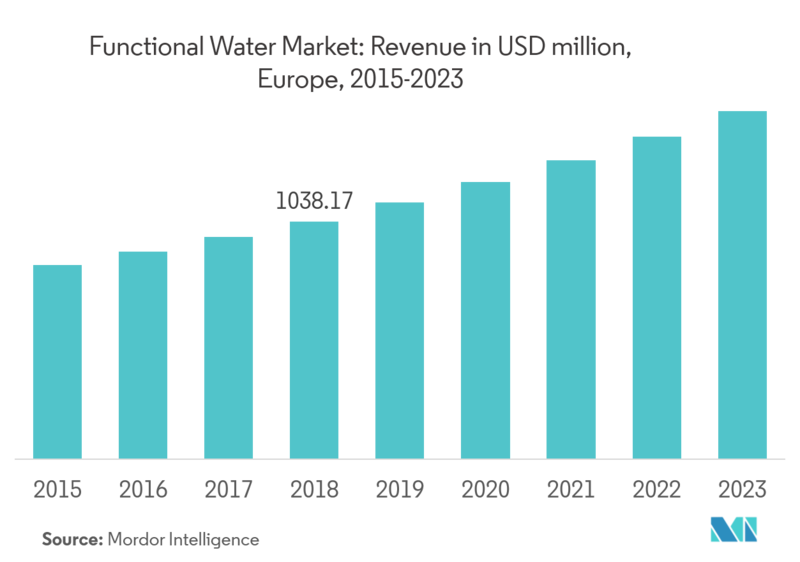 Shift in preference from carbonated and high sugar beverages, will drive demand for functional water market. Increasing trend of sugar-free or natural sweetener-based functional water that has no or low calorie content. The market studied is segmented by product type, distribution channel and geography. On the basis of product type, the market studied has been segmented into protein water, vitamin water, and others. By distribution channel, the market has been segmented into specialist retail store, hypermarket/supermarket, online channel, and others. 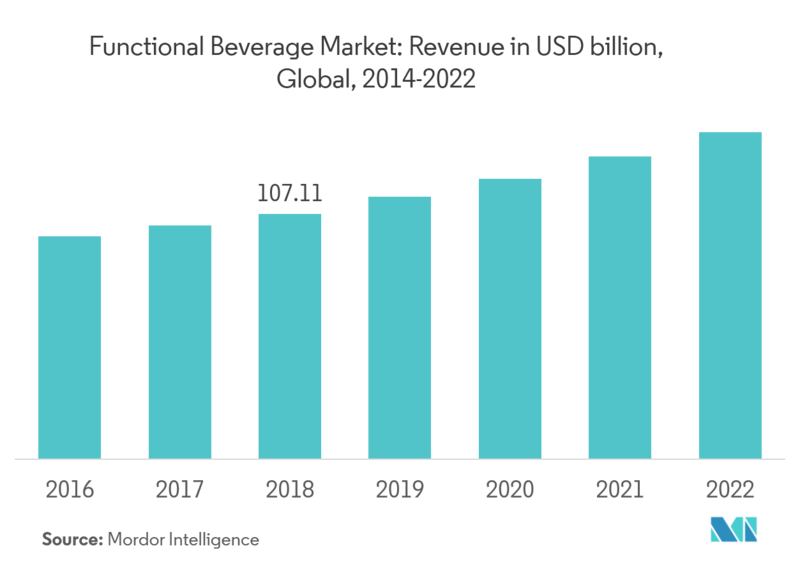 Rapid demand for fortified beverages is attributed to the inclusion of essential ingredients, such as protein, amino acids, vitamins, and minerals in various functional beverages. Introduction of new and innovative type of functional water from the beverage manufacturing companies that are engaged in the production of modified blends of protein and minerals is likely to fuel the growth of the market. Rise in obese and diabetic populations in the United States, China, India, Australia, and the United Kingdom, among others, has shifted the focus from carbonated soft drinks to bottled water in the recent past. A research by the International Food Information Council Foundation on Food and Health revealed that 47% of the total consumers prefer food with additional nutrients. The consumption pattern in European region is shifting towards healthy and weight management ingredients. As functional water contribute to the same, the region stands at the top position. However, demand of functional water received a boost with Coca-Cola’s acquisition of Glaceau Vitaminwater in 2007 in the United Kingdom.The transition from the United States to European markets and reformulation of the product using stevia and new vitamin and mineral combinations have proved to be successful for the brand in the United Kingdom in 2012.With the growing trend toward health and wellness among consumers, functional waters with a blend of diverse flavors are an increasingly visible presence of market selves in the United Kingdom. 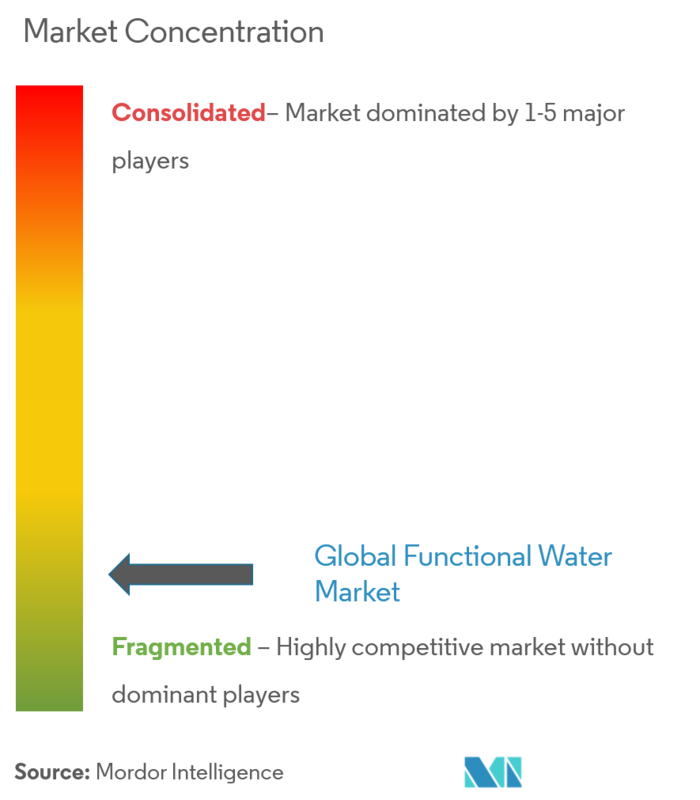 Danone, Coca-Cola, Pepsico, and Dr Pepper Snapple are some of the the prominent players in the global functional water market. Some of the other players include Vitamin Well AB, Triamino Brands LLC, New York Spring, Herbal Water, Vichy Catalan Corporation, San Benedetto, Unique Foods (Canada), and others.Balance water and Herbal water have marked their position in the market with their unique product portfolio i.e., water enhanced with wild flowers and organic herbs respectively.The Functional water market was led by Coco Cola with a share of 11.03%, followed by Pepsico and Danone. 6.4.5 Dr. Pepper Snapple Group Inc.